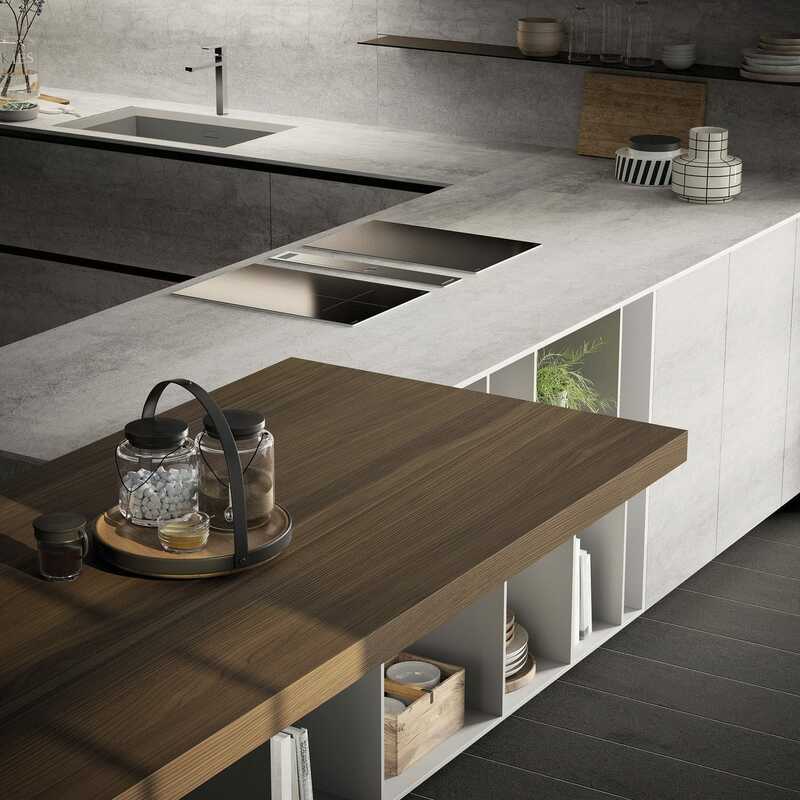 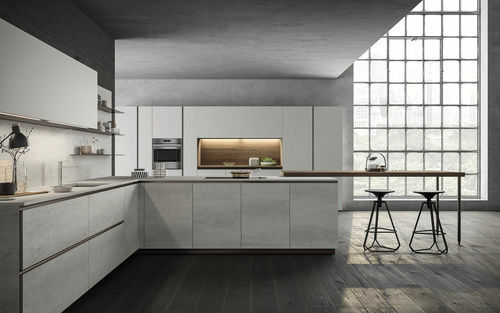 Appearance and functionality come together in a perfect union in EØ, a kitchen that develops and transforms the concept of space, presenting beautiful and efficient shapes, revolutionizing the living area and creating refined and dynamic atmospheres. 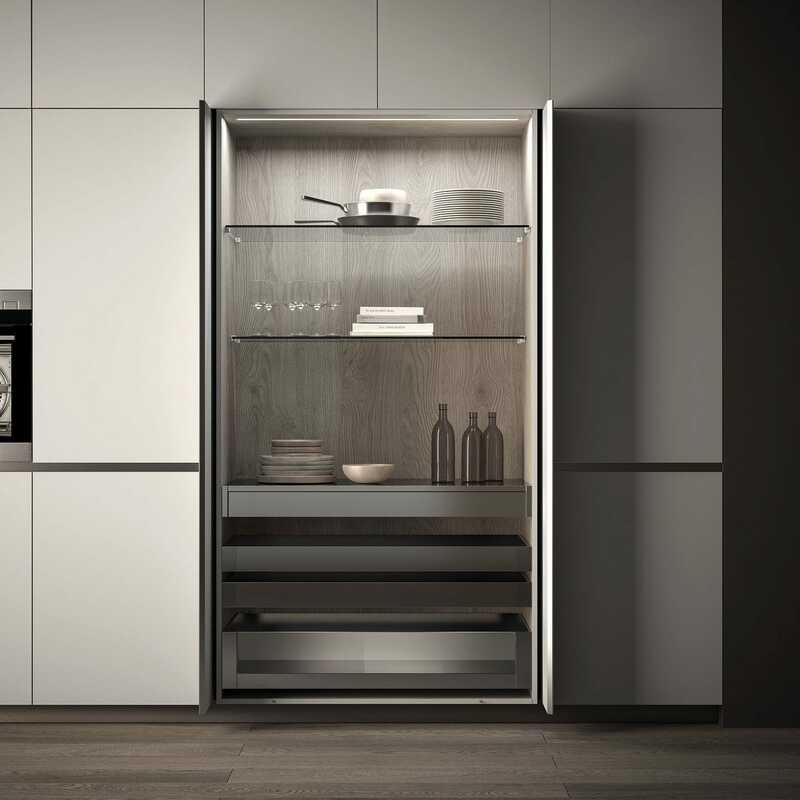 Its distinctive feature is the door edge, cut at 40 degrees with an anodized aluminium handle profile which protects the door and allows a pratical and aesthetic handle grip. 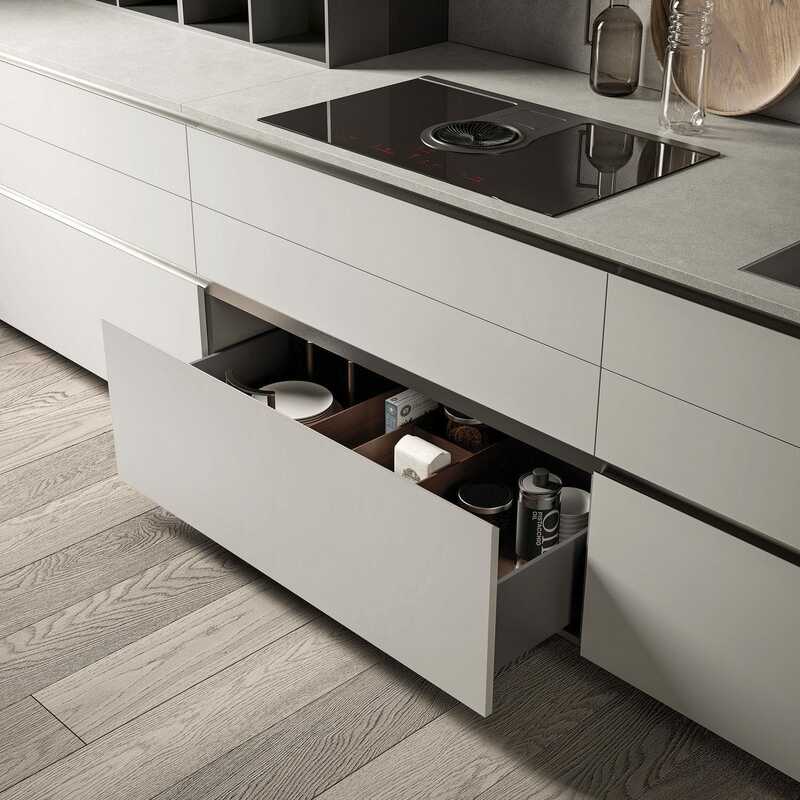 EØ matches ergonomy with the most surprising contemporary design.